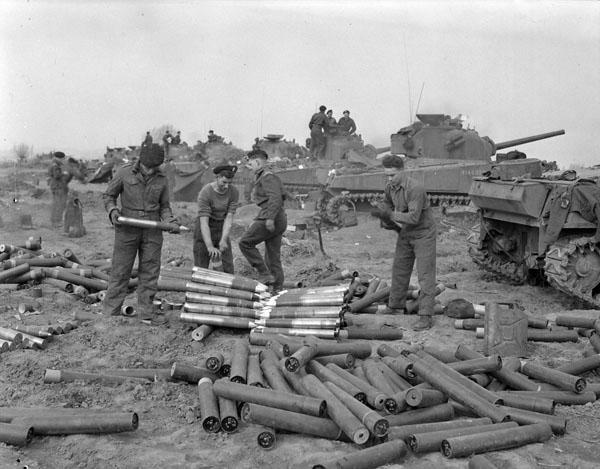 Personnel of The Canadian Grenadier Guards stacking 75mm shells near the regiment’s positioned Sherman tanks south of Emmerich, Germany, March 28th 1945. (Left To Right): Guardsmen W.R. Malcolm, E.L. Brown, J.B. McClain and C.H. Watson.